We are incredibly lucky to have a group of highly inspired, dedicated and highly qualified teachers training on our courses. Some of our regular teachers are detailed below. 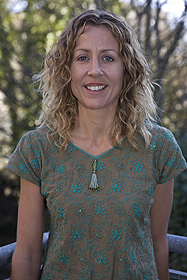 Aisling has been teaching yoga for over 15 years, having trained initially in India. 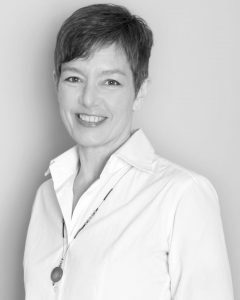 She is a fully qualified sports injury therapist, nutritionist, mindfulness practitioner, has a masters in psychotherapy and more. 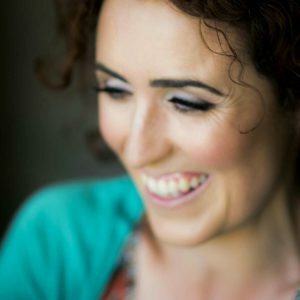 Aisling runs recognised training qualifications in Yoga teacher training, sports massage, massage, nutrition & counselling. With over twenty years of meditation and yoga practice, she brings an awareness of all her studies, practice and experience to her classes and sees yoga as a meditation in motion, focusing on the breath and the therapeutic aspect of the movements. Aisling training has been vast, over the last 20+ years she has trained and practiced with many, many great teachers from across the globe. Paul has been practicing yoga since 1994. With a marital arts background he shifted his focus to yoga after being introduced to it by Katrina. He continued his practice of yoga in Los Angeles in a variety of styles having fun with teachers Steve Ross and Kathryn Budig, eventually leading to his teacher training with Yogaworks in Santa Monica under the guidance of Malachi Melville, Birgitte Kristen, Anne Van Valkenburg and Colleen Garrity. His yoga is inspired by the classical Ashtanga, Iyengar and Viniyoga schools, all in the lineage of Krishnamacharya complemented by Alan Finger’s deep knowledge of meditation and the subtle body. He has expanded his interests to Thai Yoga Massage and his classes tend to be strong and energetic with a Qi Gong influence, and always with a light hearted approach. Linda has been teaching Kundalini yoga for several years and will do a five session course over the three days on Compassion based yoga. She teaches a range of classes and workshops that follow the flow of this style. She has worked with kids and taught kids yoga and has practiced Krioas, cleanses and detoxes extensively. 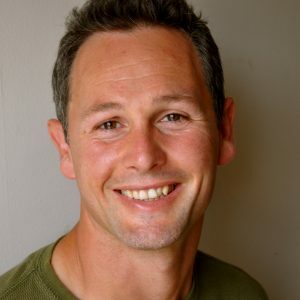 Daryl Belmore – Anatomy, Injury Prevention & Alignment – ITEC Yoga Teacher and train the trainer. Daryl started his career in health and wellness by qualifying to be a fitness instructor in 2001. In 2002 he qualified as a massage therapist, and then went on to study sports injuries. spending time training and treating various teams. From 2005 he started to work full time in the spa industry and has over 11 years experience working as a senior therapist, trainer and eventually spa manager. His expert treatments include a luxurious deep massage, reflexology, sports massage & more. 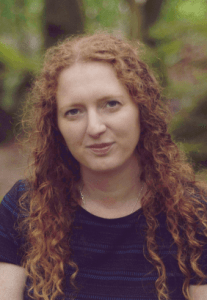 Bridget has had a lifelong interest in alternative health and different modalities for taking care of one’s health using homeopathy, herbs, healthy eating and natural home remedies. She completed her nutrition diploma with IHS (formally ICIM) in Galway. She has since completed a course in Functional Sports nutrition and numerous trainings in different nutrition and health related areas. Interests in sport and fitness have changed and increased also through her life. Brigit lives a life with the ethos and lifestyle of healthy living and complementary medicines for family and the changes and challenges faced though modern life. Founder practitioner of Ayurveda Galway, Orna has always been interested in alternative medicine. With over 15 years of training, Orna has spent years studying in the UK, India and Sri Lanka and has participated in internships with Dr. Vasant Lad and Dr Sucheta Godbole in Pune, and has spent two winters working in retreat centres in Goa. She gained a deep understanding of Ayurvedic herbs while working for an organic ayurvedic herbal company in UK www.pukkaherbs.com. Orna is the tutor for their distance learning course ‘An Introduction to Ayurveda’. BA (Hons) Ayurvedic Studies, Dip. Ayurvedic Medicine, Certificate in Ayurvedic massage (International Institute of Ayurveda) & ITEC distinction in Anatomy, Physiology & Massage. Began her journey with Ashtanga nearly 14 years ago. Initially she was mesmerised by the physical benefits of yoga, such as strength and flexibility – it took time and awareness to reap the subtle benefits from a regular yoga practice. Eilis practice’s Mysore-style Ashtanga yoga. Eilis has been teaching for ten years. She teach’s Ashtanga led and Mysore classes, restorative/gentle classes based on the Ashtanga primary series and principles to suit all ages and abilities. Is qualified a Iyengar Yoga Instructor. Ellen originally started her yoga practice in the UK, studying different disciplines of Yoga before discovering Iyengar Yoga when she moved to Ireland. The importance of alignment, proper sequencing, safety and accessibility for all levels and abilities that characterise the Iyengar method, were fundamental to her decision to become a teacher. The practice of Iyengar Yoga begins with physical awareness of the body. In each posture, every part of the body is acted upon with intent and precision. The precision builds strength and stamina, balance and flexibility and safeguards against injury. The skillful use of equipment such as chairs, belts, blocks, etc. enables everyone regardless of age, strength, or flexibility to benefit from the practice.